The oil and gas industry is a complex one, but vital to the global economy. Oil served as the lifeblood of the economy for over 100 years and accounts for 2.5% of the global gross domestic profit (GDP). In addition, oil also accounts for one third of the world’s primary energy supply and that figure increases to half if you take natural gas into consideration. It goes without saying that the oil and gas industry is essential to the livelihood of mankind; without it economies would not be able to grow and develop. In fact, if oil production and exploration were to suddenly stop, modern civilisation would certainly come to an end within months. The transport systems around the world are heavily dependent on oil and gas as it powers 100% of all transportation forms. Transportation in turn accounts for one-sixth of the global GDP and thus a sudden stop in the oil and gas industry would have rippling effects in the transport industry, which could ultimately see detrimental effects on the global economy. Oil comes from the remains of small plants and animals that died in ancient seas between 10 million and 600 million years ago. These organisms sank into the sand and mud at the bottom of the sea after they had died, forming organic material. As time progressed, more layers of sediment were formed and, mixed together, formed shale or source rock. Intense heat and pressure were exerted on the source rock and resulted in the distilling of crude oil and natural gas. Over time, the oil flowed from the source rock and accumulated in limestone or sandstone, called reservoir rock. The reservoir rock, through movements of the earth, became trapped between cap rock such as marble or granite. Today, geologists survey land areas and find sources of oil using a variety of methods. Scientists also survey the area once it has been identified and conduct environmental impact studies. Once approved, a site is then prepared by a crew for drilling. 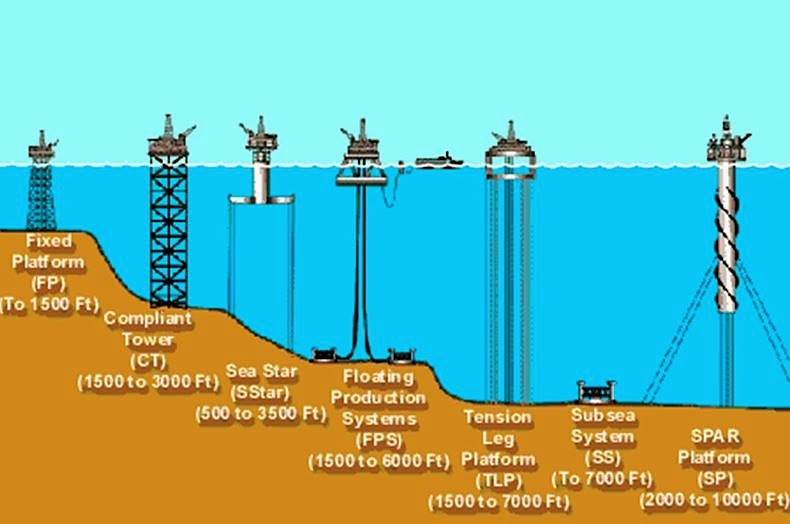 The drilling process is made up of a few phases, but essentially, a hole is drilled to a specified depth, then tests are performed and if oil is found, a pump is attached to the well head and oil is pumped out. A complex network of oil and gas transportation routes and pipelines deliver oil to people around the world. The natural gas pipeline distribution network is so extensive in the US alone, it can stretch to the moon and back seven to eight times. That isn’t the only fascinating fact - around 40% of cargo at sea at any given time is oil. Here’s the killer, the total amount of oil transported via sea every year is higher than the mass of fish in the sea. Yes, the ocean isn’t full of fish, it is full of oil – even BP agrees. Stereotypically, riches are associated with oil companies, but while there is a bit of truth in this, the profit made by oil companies is not as exponentially high as thought. They do make profit, but they have big expenses to account for too, the biggest of which is the rising cost of exploration and development – which has a 50-90% chance of being unprofitable. Then there’s the cost of mistakes. On average, oil companies only make a profit of around $20 per barrel. This is next to nothing, particularly in a highly competitive market where a product is interchangeable with that of another company. The way oil companies survive is through strategic oil partnerships. This allows them to grow in size and allows for associated risks of operating in the industry to be spread across a wider base. BP recently released a report giving an outlook on the industry into 2035. It projects that that global energy consumption will rise by 41% by 2035. Around 95% of this growth is expected to come from emerging markets. Advanced economies such as North America, Europe and developed Asia will grow much more slowly. In the later years of the forecast, a decline in demand is expected which is likely to impact the oil and gas industry significantly. For now, the need for oil and gas (?) is there and markets attest this. About the author: This article was written by Amanda Daniels. She's always had a passion for words and when she's not writing, she'll be reading.